Ugochukwu Obi-Chukwu A.K.A Ugodre is the founder of Nairametrics.com, Nigeria's leading Financial Literacy Website. 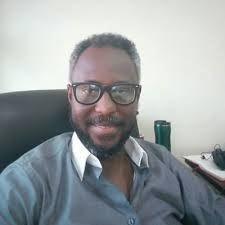 Ugodre is a chartered accountant with over 15 years experience in corporate finance, treasury and financial management who promotes investor advocacy, investor education and financial literacy in Nigeria. 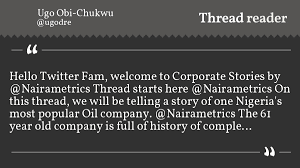 Known for constantly engaging and analyzing corporate trends anad happenings around the Nigerian business sector (especially quoted companies) on social media tagged "Corporate Stories with @Nairametrics", he has special interest in personal finance and investing. He is a voice and your go-to person on finance, business and economics issues. Ugochukwu Obi-Chukwu is our CEO of the week!